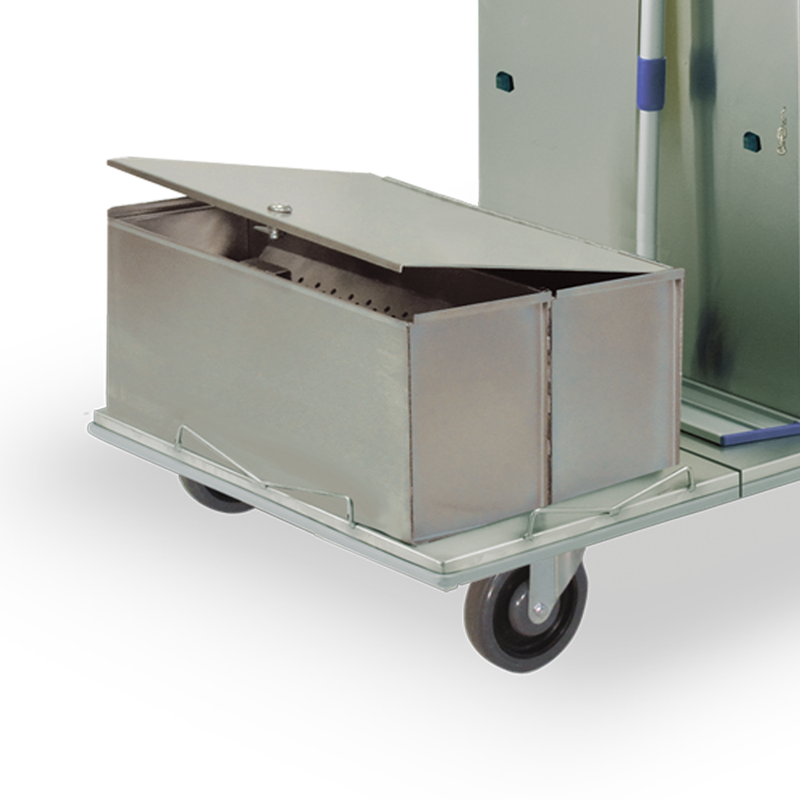 Durable stainless steel microfiber housekeeping carts. 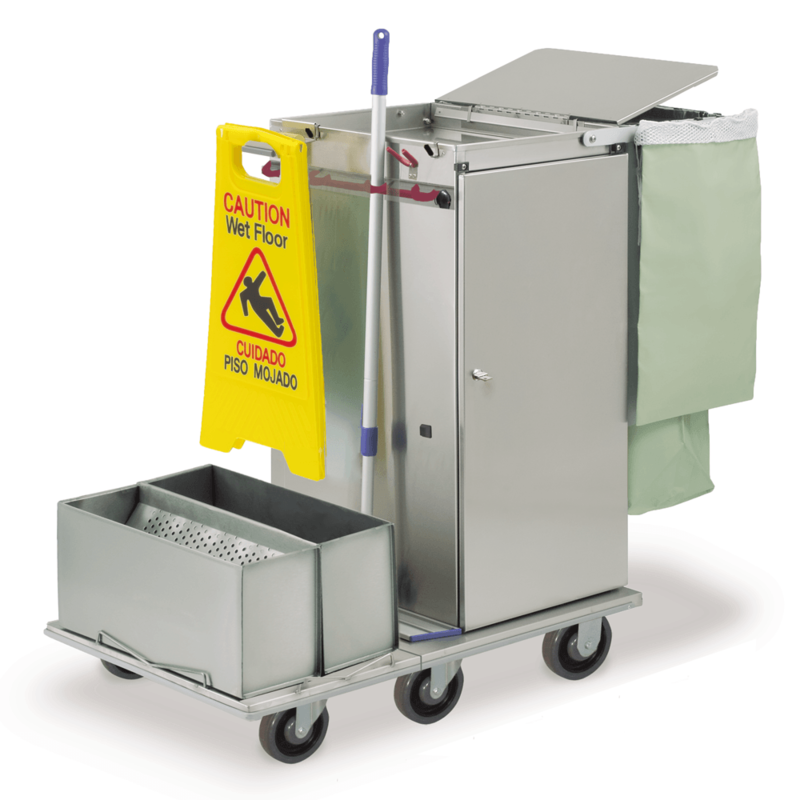 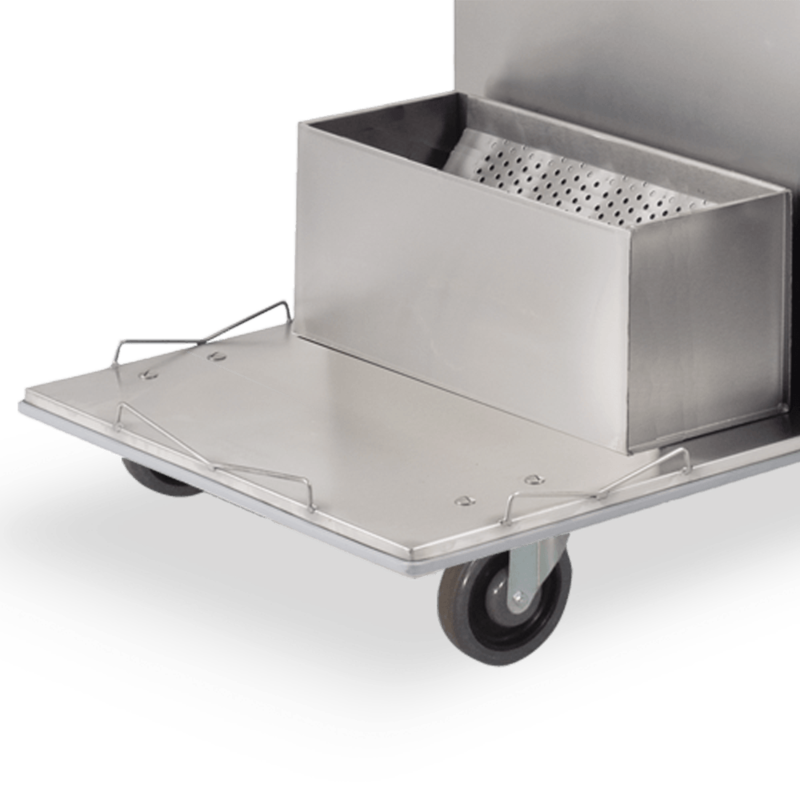 LST1E and LST2E Series carts include lockable door, zip bag, trash lid, “Snaprack” tool holder, 12″ x 16″ pouch, 14″ x 24″ pouch, MNET mesh bag, 24″ wet floor sign, sign holder, and microfiber single or double tubs with sieve & locking lid. 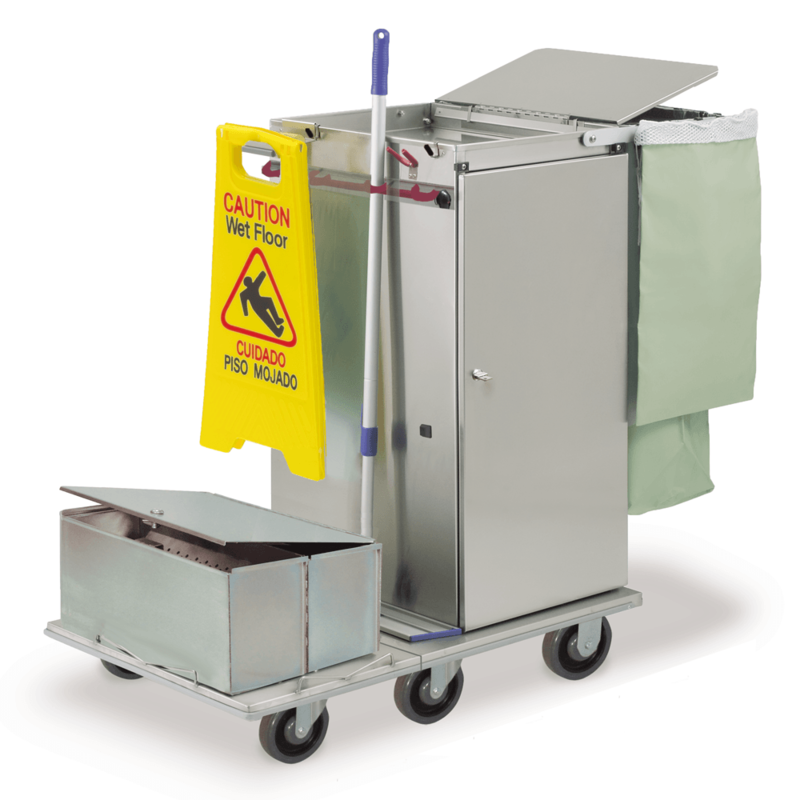 Choose cabinet size, non-folding or folding base, and single or double microfiber tub options below.